Satisfy your inner culture vulture at AstroGC and Vegueta. 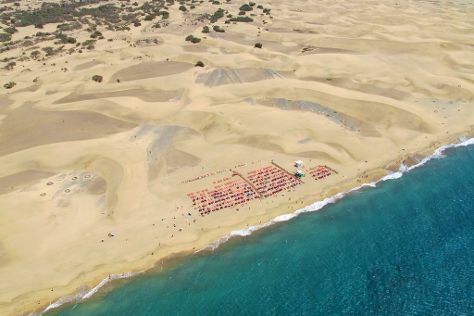 Visit Playa de Maspalomas and Playa de Amadores for some beach relaxation. You'll find plenty of places to visit near Maspalomas: Las Palmas de Gran Canaria (Catedral de Santa Ana, Playa de Las Canteras, & more). There's lots more to do: visit a coastal fixture at El Faro de Maspalomas, browse the different shops at Yumbo Centrum, stroll through Playa de San Agustin, and kick back and relax at Playa de Mogan. To see more things to do, maps, photos, and other tourist information, refer to the Maspalomas vacation builder. London, UK to Maspalomas is an approximately 8-hour flight. You can also do a combination of bus and ferry. Traveling from London in April, things will get somewhat warmer in Maspalomas: highs are around 26°C and lows about 19°C. Finish your sightseeing early on the 10th (Mon) to allow enough time to travel to Adeje. Straddling the foothills of the Teide volcano and Tenerife’s southern shores, Adeje is known for its beautiful island architecture and a backdrop of green, mountainous scenery. 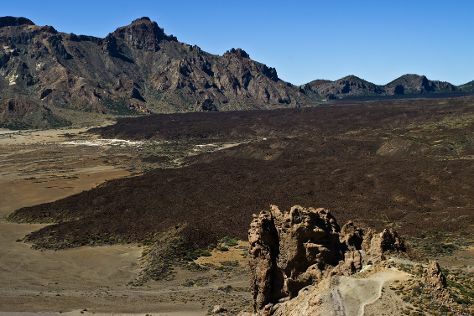 Get outdoors at Teide National Park and El Medano. Your itinerary includes some good beach time at Playa de las Vistas and Los Cristianos Harbour. Step out of Adeje to go to Icod de los Vinos and see ARTlandya, which is approximately 50 minutes away. Plan for a day of cool, family-friendly fun on the 13th (Thu) at Siam Park. The adventure continues: stop by Libra Shoes. For photos, reviews, and other tourist information, go to the Adeje itinerary maker. You can fly from Maspalomas to Adeje in 3.5 hours. Alternatively, you can do a combination of ferry and car. Expect a daytime high around 26°C in April, and nighttime lows around 19°C. Finish up your sightseeing early on the 13th (Thu) so you can travel back home.